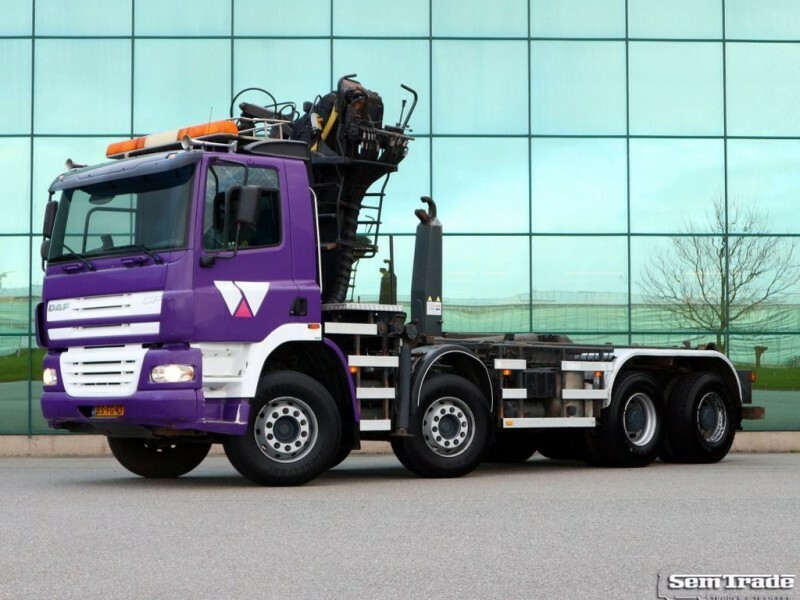 The detailed specification of DAF CF 85 hook lift truck is provided below. The details on engine output, gearbox and emission class are as follows: Euro 3, diesel. Chassis configuration: number of axles: 4, steering axles, central lubrication, ABS, trailer coupling. Cab design: power windows, central lock, cruise control, radio, CD. The mileage is 203700 km.